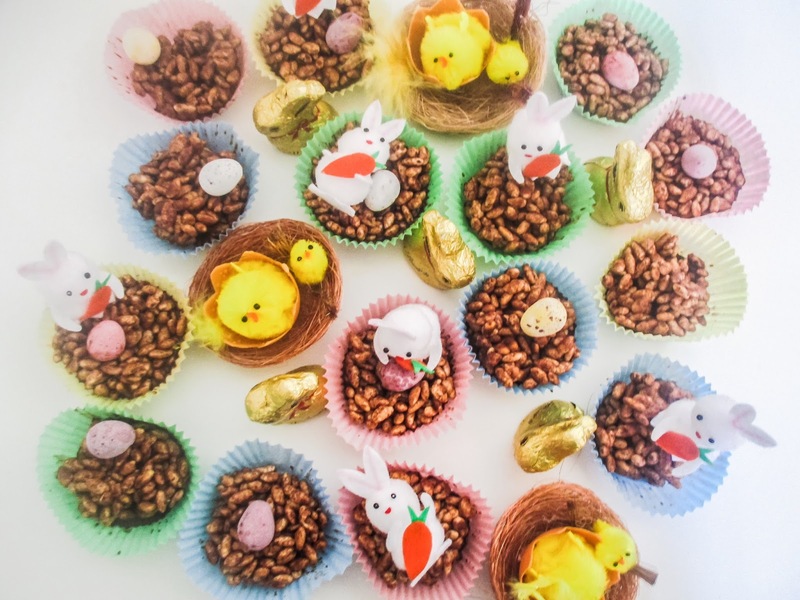 I am so eggcited, Easter is literally around the corner, which means I get to make loads of treats with Leanora and share with you lovelies. Now that I am a Mumma I can use Leanora as an excuse, to do arts and crafts plus bake all day long, but really, it is for me or I should say us, so we can share and feast on our delightful treats we are about to make. When I think of Easter, I think of chocolate, chocolate and more chocolate, and which eggs to do I want, oh I know I ask for the same thing every year and that is Cadburys Mini Egg's nothing makes me happier! 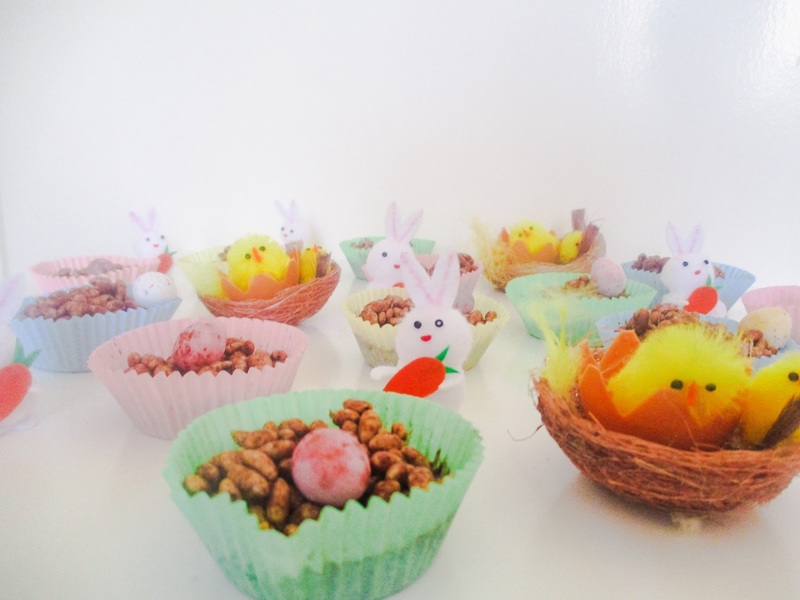 I decided that as I am living a cleaner, healthier life I thought I should make these childhood Easter treats, with my daughter, but with a healthier twist. I remember first making these at school when I was kid, at first I thought yuck, rice crispies, snap, crackle and pop, get out of here! Now anyone who knows me, knows that I hate cereal with a vengence, its just the consistentcy that freaks me out, the softness ugh! But my spirits lifted as I saw my teacher bring out a big massive bar of Dairy Milk chocolate and I thought, ANYTHING that has chocolate MUST be good for you, no? I was sold hook line and sinker, then I just had to get my mum to buy coco pops, just so that I would eat cereal, but I only ate the top half as that did not go mushy, then slurped up the delicious chocolate milk at the bottom of the bowl! Not that I still do that, I am totes and avocado on toast respectable adult, or so I let you know! These chocolate Easter egg nests are dead is easy to make, say 10 mins max and they are Vegan and Gluten-Free also, which is brilliant. However if your little ones are anything like Lea and my nieces and nephews, you are going to be making these in abundance. 1. Heat the coconut oil in a sauce pan, then add the cacoa powder plus the maple syrup and stir until it forms a rich chocolate sauce. 5. Stick 1 or 2 mini eggs on top, or if like me and Lea, 1 for the cupcake case 1 for you. 6. If you have any left over and not tucked in to them all, place back in the fridge for a further 30 mins to set fully. Let me know how you get on with these egg-strodinary treats? !